When a child chooses comfort over an image of a well-loved cartoon character on their school shoe, there's gotta be something special about that shoe. That is the case with Nikola and her black leather Dr. Kong Maryjanes. I was asked to do a sponsored post on back to school shopping with Dr. Kong by their PR team and was sent some stock photos a few days ago and I was more than happy to oblige because it's a brand I believe in and patronize with or without payment from the company. Case in point are these candid photos I took of Nikola a month ago when we did some back to school shopping at you guessed it...Dr. Kong. When it comes to buying stuff for school, we pretty much give her free reign. She had the option to purchase her school shoes anywhere but she personally chose Dr. Kong. And I don't blame her. I have been a fan eversince I was first introduced to the brand over a year ago (see HERE). Their insoles work wonders for making some of my most uncomfortable shoes wearable and the science behind their products is really effective in alleviating pain and discomfort. So what makes a Dr. Kong shoe special? Aside from being extremely durable and well-made, there are different types and levels of support offered for the varied and unique needs of our kids and their staff will be happy to help you figure out which shoe is best for them through a FREE foot assessment as you can see being done to Nikola in the photo above. From the results gathered, you will be shown a variety of styles that carry the appropriate insole to prevent your kids from becoming flat footed and prone to injury. The result is a perfect fitting shoe that will last throughout the entire school year (they give professional advice on size allowance considering how fast our kids feet grow). We spend so much money on athletic shoes to provide us with the right type of support to help us perform at our peak. Why not share the same belief on shoes that your kids will wear almost everyday for more than a year? We say we want what's best for our kids and guys, from personal experience, these are the best in the market right now and the closest you can get to bespoke when it comes to school shoes. Schoolwork is stressful enough and I would just like to help ease the burden by providing my daughter with one less thing to think about and be able to attend school daily in comfort. 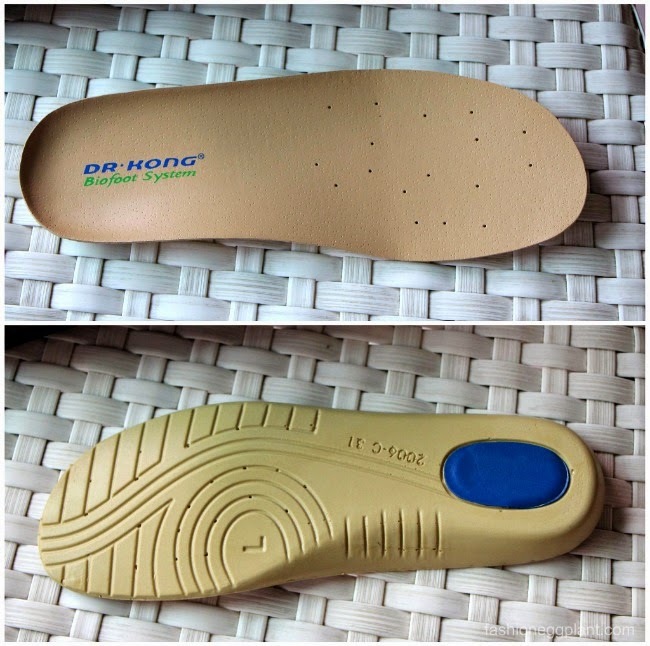 Dr. Kong also carries rubber shoes for kids that offer the same level of support as their leather shoes and guess what? They come in plain white which most schools require and is so difficult to find in the malls. And last but definitely not the least are Dr. Kong backpacks which are ergonomically designed to relieve pressure from the spine, back and shoulders. These backpacks are proven to prevent "round shoulders" (kuba/hunchback). I'm lucky Nikola's new school doesn't believe in homework so most of her books are left in her locker which frees her from a heavy bag to carry everyday but in her past school, her bag would get really heavy (even for me) and they weren't allowed to use school bags with wheels. If your child goes to a school with similar policies, I think these would be a great alternative so they don't end up hurting their back in the long run. These are few of the many reasons why Dr. Kong is considered as Asia's No.1 Healthy School Shoes. To back up that claim, when I enrolled Nikola for this coming school year, I found out that her school strongly recommends Dr. Kong as the choice footwear for their students. They even had a booth up so you could purchase directly in school.